One of our latest features is the Mobile Chatbox, an APP that gives you even more control over your campaigns and lets you communicate easily with your team and clients. You can access the mobile chatbox from any device - smartphone, tablet, or desktop. Mobile technology is extremely efficient for fast communications but regular text messaging is really made for one-on-one connections. What about when you want to talk to several people, such as when you're working on a project that includes multiple team members? You can use various web apps and chat programs, of course. With ProTexting's Mobile Chatbox, however, you can easily communicate with your whole team from your phone. At the same time, it can be used on other devices as well. Access your inbox on the go from any device. Share the inbox link with your team. Connect all of your keywords. The inbox dashboard lets you view all messages or view messages with keywords hidden. All messages are saved in the mobile chatbox. Easily archive, flag, or reply to them. Refresh dashboard to get the latest list of messages. 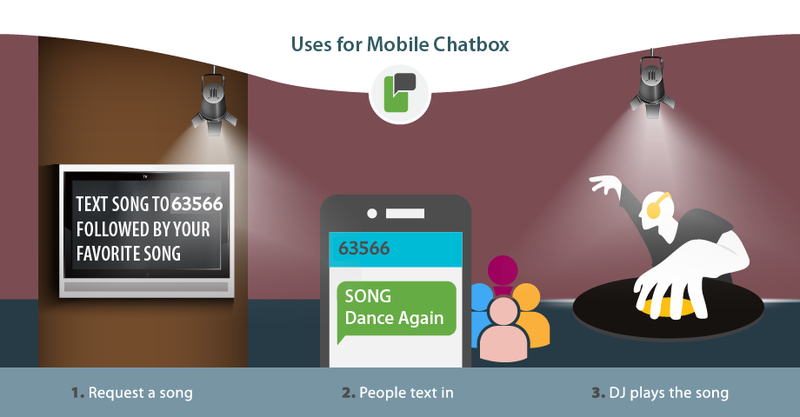 There are many uses for mobile chatbox. It's especially helpful for live events that require lots of messaging, such as parties, shows, DJs, and demos. If you're coordinating a project where people are operating from several different locations, you can use mobile chatbox to ensure everyone gets messages quickly. For example, suppose people are organizing a large event that involves many tasks, such as setting up the room, catering, sound equipment, projectors, etc. Rather than have everyone sending texts separately, the mobile chatbox lets everyone see what’s going on at all times. If John is driving to the airport to pick someone up and Mary is setting up stage lighting, they can text about it and everyone will see it on the dashboard. The mobile chatbox can be similarly used for any project or event that requires fast communication between team members or clients. The new mobile chatbox is another ProTexting feature that helps you manage your campaigns and projects more efficiently. It helps to bridge the gap between mobile and desktop devices so that you and team members can easily see your mobile inbox from laptops or desktops as well as phones and tablets. The inbox dashboard gives everyone a convenient place to view and manage conversations. The app can be used along with our Text 2 Screen feature, which will empower your messaging campaign even more.